This product requires the base game Quantum Conundrum. Use the Interdimensional Shift Device and switch between 5 unique dimensions to solve brain twisting puzzles to save your uncle. 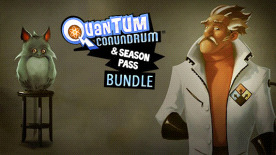 The season pass also includes the base game, Quantum Conundrum!